Citrine is known to be the premier manifestation stone. When combined with the power of your affirmation and intention, it is a powerful stone for helping with the manifestation of prosperity and abundance. Citrine helps to open up the third eye and unlock your imagination, helping you to better imagine anything that you desire. It also brings an energy that encourages joy, happiness and hope to flow through you. One of the less well-known properties of Citrine is their strong ability to soothe fear and anxiety. By allowing you to let go of your fear, this stone helps you to be able to accept the positive things that are coming your way into your life. A Citrine Stone is a gemstone of light, happiness and abundance. It is the most powerful gemstone for manifestation and can help you achieve your goals and bring your intentions to life. Citrine gemstones are also powerful tools to help you acquire prosperity, wealth and abundance. Citrine is a gemstone of light and happiness. A Citrine Stone is one of the very few crystals that never needs to be cleansed. It does not hold any negative energy, dissipating and transmuting the energy. 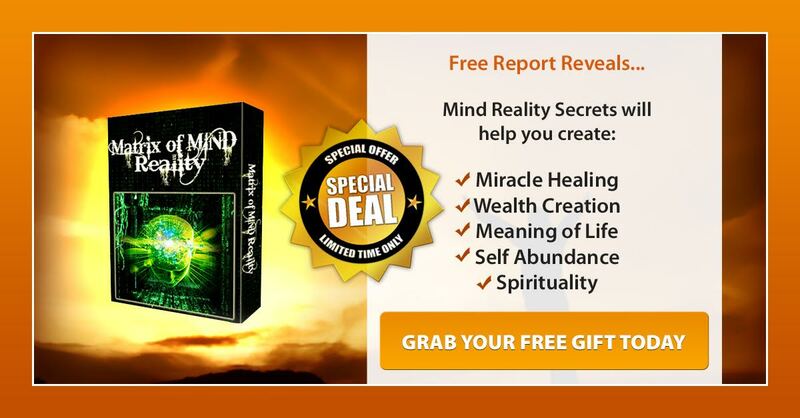 It enhances your clarity of mind, stimulating and activating the mind and thinking processes. Citrine stones also help to balance the 3rd Solar Chakra, which is the center of your breath. When this chakra is balanced and activated, happiness, discipline and reliability are enhanced. Citrine gemstones are often referred to as “merchant stones,” because they are believed to help acquire prosperity. They are the most powerful gemstone for manifestation. A citrine stone meaning is that it activates your imagination to bring more creative visions to a clearer mind, helping you to have a more positive outlook on life. They are also particular powerful gemstones to help attract prosperity, wealth and abundance into your life. Affirmation: I am filled with light, happiness and abundance. Citrine is the most powerful manifestation gemstone. This gemstone’s sunny yellow color fills your world with light, joy and abundance. If you are able to keep one of these manifestation crystals on you, the longer it is with you the better. If you can keep one within your aura at all times this could assist the situation. Having an attitude of gratitude is very important to the entire process. Wearing jewelry made from one of the lovely yellow or golden crystals is easy, or maybe you could put some tumble stones in a pouch in your pocket. Either are easy ways to affect your aura, to create positive results and effect change in your life. It is important that you are aware of your predominant mental attitude. If your attitude throughout the day is negative, the stone’s ability to effect change may be compromised. When you buy a new stone or crystal, it is advantageous to use it on its own first. Once you are fully aware of its energy, you may choose to combine it with other stones. Combine stones for short periods to begin with, as individuals may react differently. Knowing how you can combine various stones may be helpful, as this allows you to get the most from your crystals, and may help you to solve specific problems in your life. The most beneficial way to discover which lucky stones are best for you is to hold them in your hands and decide which ones feel good. If you are looking for luck in business, Citrine and Malachite are the lucky stones for you! Citrine is known as the “lucky Merchant’s stone,” and is a powerful stone for prosperity and money. If you are in any type of sales, place citrine stones in your cash drawer and experience the results. Malachite is said to protect you from misfortune, as well as undesirable business associations, and can be used to bring success in business. Gemstones have living energy. Every gemstone has several attributes. Good luck is a part of the energy of many stones. There are times it may be more helpful to use more than one stone for the luck needed. At times a gemstone’s energy seems to prefer one person to another. This is why it is advised to experiment with gemstones. As we change our way of life our vibrations change, that is why some gemstones will work differently on the same person at different times. I keep a small bowl with gemstones in it on my desk, one in my bedroom and another in the living room. The gemstones get changed as I feel a need for the life force in my life and house to change. Experiment to see which gemstones feel good when you hold them. The best way to know what gemstones will be lucky for you is to hold it in your hand. The gemstones help change the life force around you and that is how gemstones can change your luck. CITRINE is known as a MONEY STONE. As well its Called Success Stone and Merchants Stone of Wealth. Citrine is known as the “success stone” because it Promotes Success, Prosperity, and Abundance. It particularly promotes Success in Business and Money Involved Situations. Citrine is a stone of Good Fortune, and Sometimes brings it when you don’t expect it. It is a stone of manifestation, helping manifest abundance in many ways. Along with Prosperity and Good fortune, Citrine dissipates negative energies of all kinds. Since citrine eliminates negative energies, it helps generate stability in all areas of your Life, and is Extremely Good for General Protection. Citrine is a stone that brings Happiness and cheer to one who carries or wears it. Sensuality and sexuality can also be heightened by Citrine. It will Give Joy and Love to the owner. Citrine helps to manifest your goals and attracts abundance and personal power. The stone not only helps acquire wealth but maintain it, because it vibrates to prosperity in all its forms, as it is a Powerful MONEY Stone. These stones possess energies that will enhance your ability to have money flow in your direction. Use them in meditation, or spell casting, or just carry them with you. All are natural tumbled gemstones, none are dyed or synthetic. Citrine is a definite stone of success! It is particularly helpful in assisting with abundance and prosperity. Citrine enhances an enjoyment of life and spiritual growth. It also augments happiness, creativity, protection, generosity, strength, confidence, stability and moderation. Citrine energizes and invigorates, increasing motivation and physical energy. Crystals and stones have been used since ancient times to bring good things into people’s lives. Throughout time, many cultures including Egyptians, Chinese and Native Americans have utilized various stones to focus energy, bring good luck and to attract love. Citrine – This sparkling light yellow stone is known as the “merchants stone” because it is thought to help increase sales. In fact, some say to put a citrine in the cash drawer to bring in more business. It also helps to promote confidence, self-assurance and prosperity and open the mind. People also use citrine as a protection stone and to dispel negative energy. Citrine is a fabulous stone to use to combat negative energy of any kind by breaking them up and dissipating them. It is helpful to clear unwanted energies from the environment, whether it be home, office, car, or other space indoors or out. Family issues caused by negative energies can also be cleared for resolution with citrine. Citrine is also a stone that brings hope. Since citrine eliminates negative energies, it is good for protection in general and helps bring stability energetically. Citrine also does not absorb any negative energies from its surroundings, and thus never needs energetic clearing. Citrine is a solar plexus chakra stone used metaphysically to increase, magnify and clarify personal power and energy. This increased personal power can be used for the focused intent of the individual, as it brings will power as well. In the mental arena, citrine enhances mental clarity, confidence, and will power. Sensuality and sexuality can also be heightened by citrine making it a stone of positive choice for sexual issues. Gemstones and crystals have a long history of being used in magic spell casting. Because they come from deep within the earth, these gems contain powerful energy that can be harnessed and focused to assist your intention for a particular spell. “Crystal meditation is a fast way of gaining energy and stamina, mental clarity, peace of mind, and tending to that inner self that longs and needs to understand the universe. 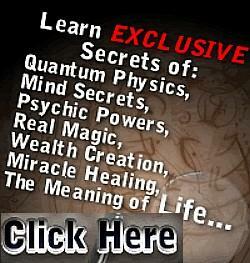 “In addition, these quartz-enhanced meditations enable a complete balancing of a person’s energy field. Nonphysical healers can better manipulate the physical, mental, and spiritual bodies when a person is surrounded with quartz. Besides existing in a state of perfection, a quartz crystal is conscious of itself simultaneously in two dimensions. Nonphysical healers adjust the crystals from their side of reality and let the crystals transpose these adjustments to the physical side of reality. This aspect of crystal meditation is important for a healing meditation, which I’m going to cover later on. Furthermore, having one foot of a crystal sitting in the physical world, while the other foot sits in the nonphysical world, makes it a great tool for sending information back and forth. This free flow of energy from one dimension to another makes it very easy to receive help and guidance from your higher self, spirit guides, and the Guardians. This multidimensional aspect of quartz is another reason why the great spiritualists sought to meditate in scared places and seemed to possess great insight and wisdom. Let’s face it! They had their own private telephone line to the Creator! “When you sit in the center of the crystals, you will be sitting within this energy bubble. Your body will bask in the contained and flowing energy, much like when you bask in the sun to get a tan. Your body, possessing a lower energy-potential than the energy-potential of the crystal energy bubble, will begin to absorb this highly charged energy. Remember! Crystals exist in a state of perfection and vibrate at the frequency of the universe. You do not! Your lower energy vibration will yield to this higher energy vibration, and you will quickly begin to exist at a higher frequency. Furthermore, when you leave this crystal circle, your body will retain this high energy. As you go about your day, you will be able to use this extra energy in your daily reality creating. Ninja Turtles and the Hyperstone Heist. Sonic the Hedgehog and the Chaos Emeralds. Gunstar Heroes and the Gems of Power. Marvel and the Infinity Gems/Stones. Harry Potter and the Philosopher/Sorcerer’s Stone.